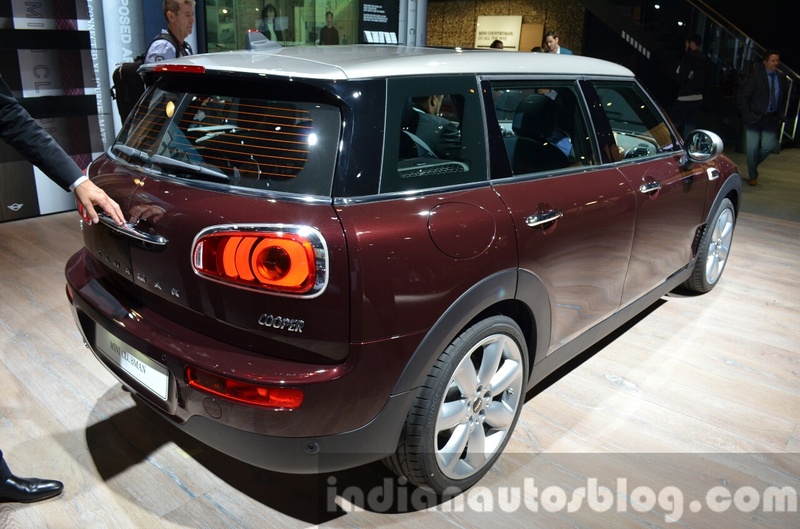 The new Clubman is the longest Mini ever produced and has six doors. 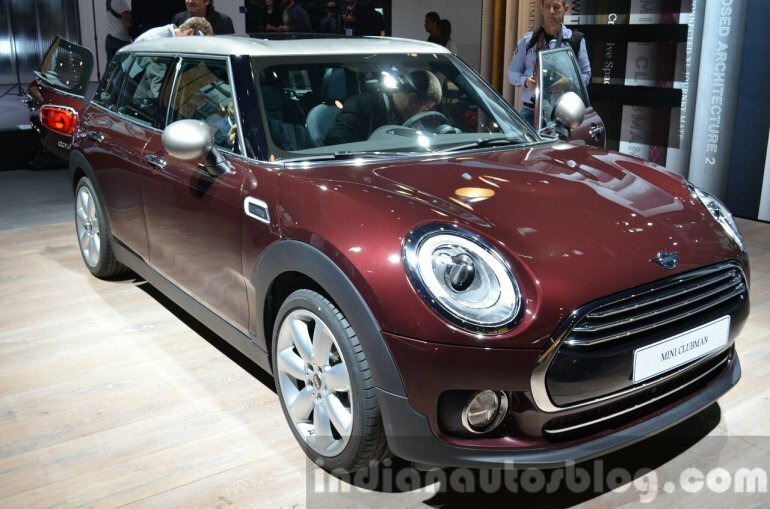 The 2016 Mini Clubman has made its debut at the 2015 Frankfurt Motor Show. The new Clubman is the longest Mini ever built and comes in three variants - Cooper Clubman, Cooper S Clubman and the Cooper D Clubman. It is based on the front-wheel drive UKL platform and is 270 mm longer, 90 mm wider and adds 100 mm more to the wheelbase than the Mini 5-door. It has a boot capacity of 360 liters that can be expanded to 1,250 liters by splitting down the rear backrest 40:20:40. The exterior gets LED headlights, LED DRLs, optional LED foglamps, chrome-surround grille and an air intake on the bonnet. The side profile gets muscular wheel arches, side air intake and silver-finish roof. To complete the design description, the rear gets redesigned LED tail lights, roof spoiler, solo chrome-finish tail pipe and barn doors. 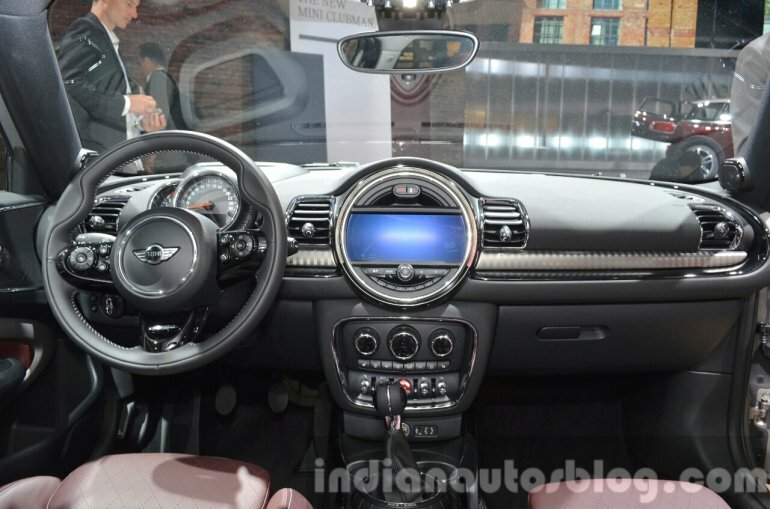 The interior features the signature centrally-mounted instrument cluster that can have a 2.7-, 6.5- or 8.8-inch screen (depending on the option) that will serve as an infotainment unit. The speedometer and tachometer are relocated to the instrument cluster behind the multi-function three-spoke steering wheel. The cabin looks more contemporary with the addition of chrome on the dashboard, center console, door trims and AC vents. Wooden accents are also seen on the transmission tunnel and dashboard. Three different engines will be available on the Clubman including a 1.5-liter TwinPower Turbo three-cylinder petrol with 136 PS and 220 Nm of torque - 230 Nm with overboost. 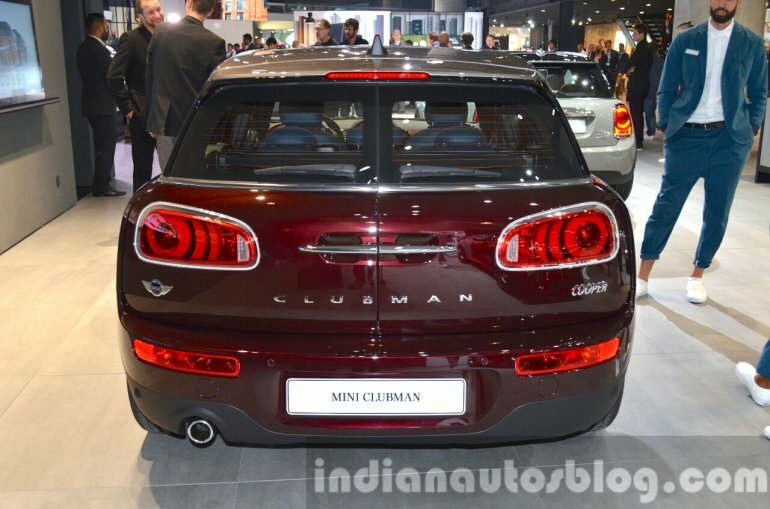 In this configuration, the Clubman accelerates from 0-100 km/h in 9.1 seconds before hitting a top speed of 205 km/h. The Clubman is claimed to gives a fuel efficiency of 19.60 kmpl and a CO2 emission of 118 g/km. The MINI Cooper S Clubman gets a 2.0-liter TwinPower Turbo four-cylinder petrol engine that develops 192 PS and 280 Nm of torque - 300 Nm with overboost. 0-100 km/h acceleration in this variant takes 7.1 seconds, while the top speed is 228 km/h. The combined fuel efficiency given by the S Clubman is 16.12 kmpl with emissions of 144 g/km. An 8-speed automatic transmission is optional along with the standard manual offering. 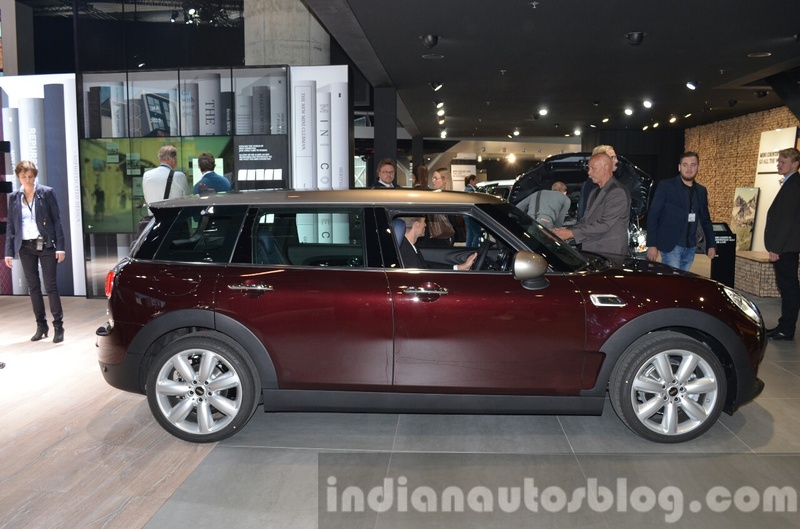 The MINI Cooper D Clubman has a 2.0-liter TwinPower Turbo four-cylinder diesel engine that makes 150 PS and 330 Nm of torque, allowing the car to sprint from 0-100 km/h in as little as 8.5 seconds before reaching a top speed of 212 km/h (131 mph). This is the most fuel-efficient vehicle currently with a consumption figure of 24.39 kmpl and a carbon footprint of 109 g/km. The 8-speed automatic is optional on this trim too. Mini will also be expanding the engine options with three new offerings in Europe later on. The Mini One Clubman will get a 102 PS, 1.5-liter three cylinder gasoline engine giving 19.60 kmpl and carbon output of 119 g/km. Two more diesel engines will be added as well. The first one will go into the Mini One D Clubman and will produce 116 PS with a lineup-topping fuel average of 26.31 kmpl and 99 g/km of CO2. The second one will be seen in the range topping Cooper SD Clubman having 190 PS on tap and combined fuel consumption of 22.22 kmpl and 119 g/km of carbon emissions.